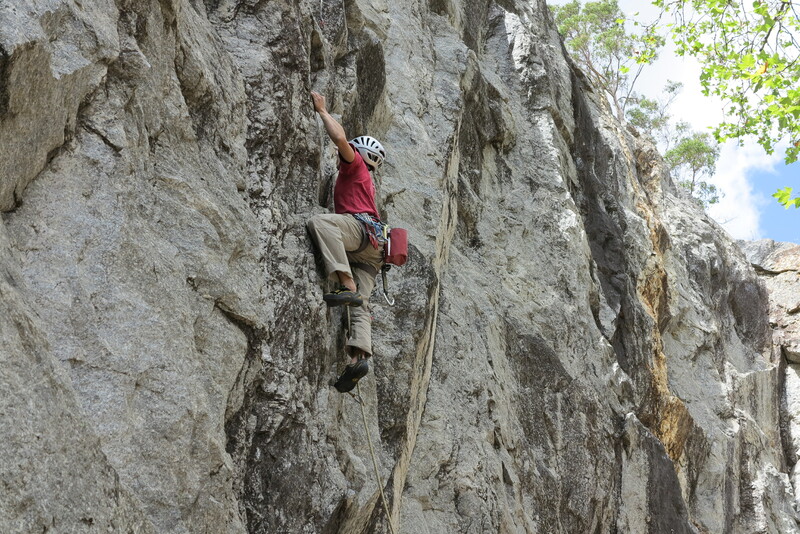 The days are getting warmer so it’s time to head to the coast for some sea cliff climbing. CAWA has a trip planned to Wilyabrup on the last weekend in November. Located 26km NW of Margaret River, it’s not too far for a weekend trip from Perth. 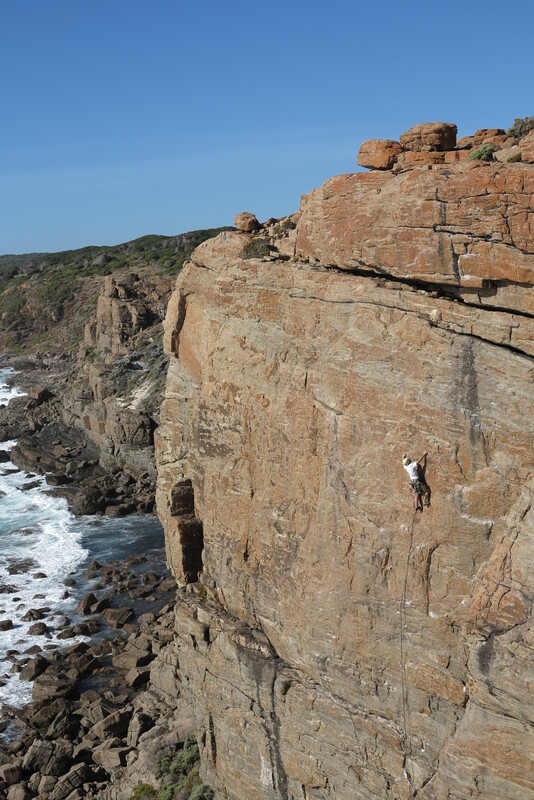 Wilyabrup is one of the biggest and best known crags in the region, stretching around 400m along a small terrace above the wave line overlooking the Indian Ocean. With rock pools and small beaches close by, it’s a beautiful place to climb. 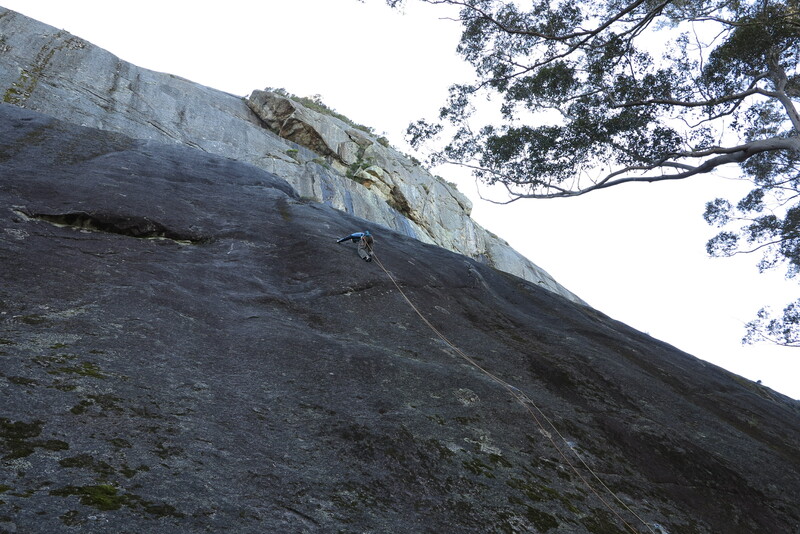 The climbing style is quite varied with lots of face climbs, small roofs and even a few cracks. The climbs are mostly trad or mixed lines requiring a full rack of wires and camming devices, but there is also some sport routs as well. Top ropes can be easily set up in places. Check out the West Australian Rock guide book for more info. We will be staying at a campground not far from Wilyabrup. If you intend to come on the trip send me an email and I’ll send you a registration form, cawa@climberswa.asn.au. Any questions give me a call or email. Most people will head down on Friday night, let me know if you need a ride or have spare seats in your car. It’s a good way to meet new people. Please note that CAWA trips are a benefit for members. Non-members who are interested in coming can join online. CAWA is not able to provide training due to liability issues and so all climbers on the trip must be independent participants who are completely responsible for themselves. Participants under the age of 18 must have a parent, guardian or other responsible person to accompany them. The days are getting longer so it’s time climbers start thinking about heading south to climb. So Queens birthday long weekend CAWA has a trip planned to Mount Frankland in the picturesque Karri forest north of Walpole, 400km south of Perth. We will be camping at Fernhook Falls which has comfortable sites with a camp kitchen, drop toilet and campfires perfect for evening story telling. Water is generally available but this is variable, so it is advisable to be prepared. BYO firewood. The road off the main highway is dirt and can be bumpy, though always 2WD friendly. It’s always a great weekend away and a good chance to meet other climbers. 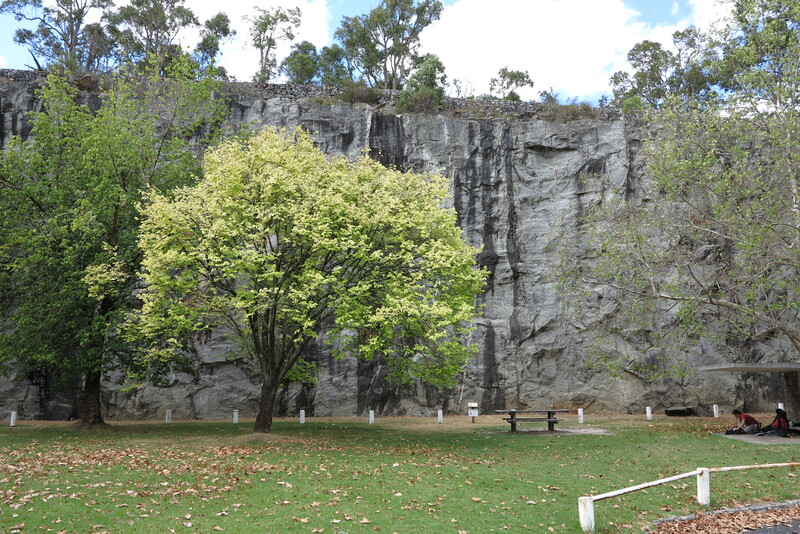 There are lots of other outdoor activities in the area including kayaking bushwalking and mountain biking. If you intend to come on the trip send me an email and I’ll send you a registration form. Please fill in the registration form and send it back to me at hamishc@climberswa.asn.au. Any questions give me a call or email. Most people will head down on Friday night, let me know if you need a ride or have spare seats in your car. It’s a good way to meet new people. CAWA is not able to provide training due to liability issues and so all climbers on the trip must be independent participants who are completely responsible for themselves. Participants under the age of 18 must have a parent, guardian or other responsible person to accompany them. With approximately thirty trad, bolted and mixed routes there is something for everyone. 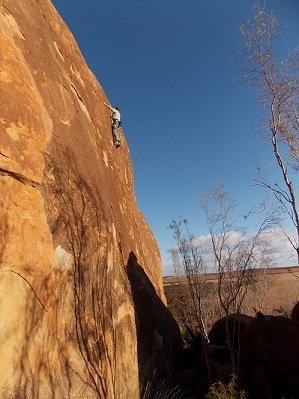 Eaglestone has large granite boulders with good face climbing. Abseil stations are positioned on top of the major boulders. There are a number of fantastic routes including **Wishbone (17), ***Capachow (19), *Old School Leaver (18) and one of my personal favourites ** Ithica (22). So be sure to check out your Perth Rock Climbing Guide for route and access information. If you don’t yet have a guide book you can purchase one at our next gym crash before the trip which will be at The Hangout in Bayswater on Tuesday 12th August. Please register your interest now by emailing me at melissak@climberswa.asn.au. I will send you a questionnaire to complete as well as more detailed information. I will do my best to assist members to organise car pooling. If you have any questions, please feel free to contact me on the above email or on 0422506266. The forecast for Saturday is not looking good so unfortunately I think it is best to postpone the trip until later in the year when the weather is more stable.